This is a beerstein in the shape of a drinking horn. 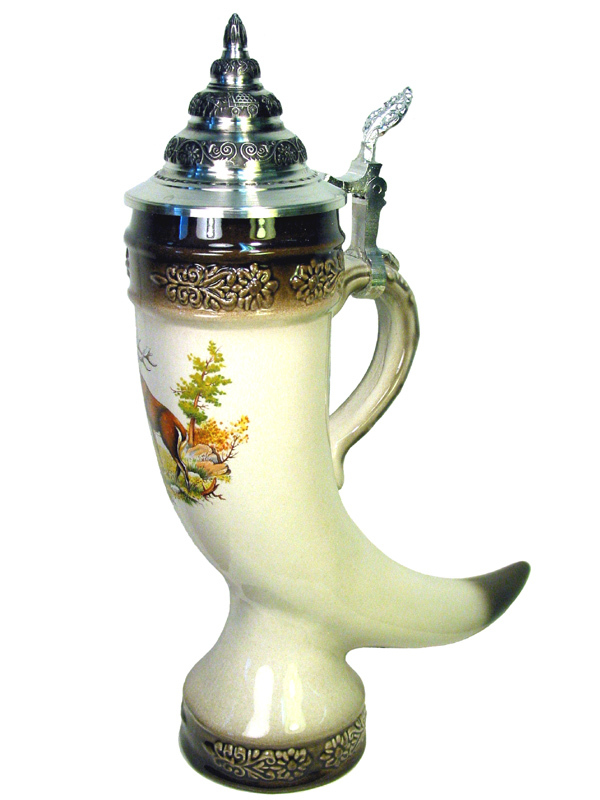 Central motiv on the stein: a capital stag. 1/2L, 11.4 inches tall, pointed quality pewter top.